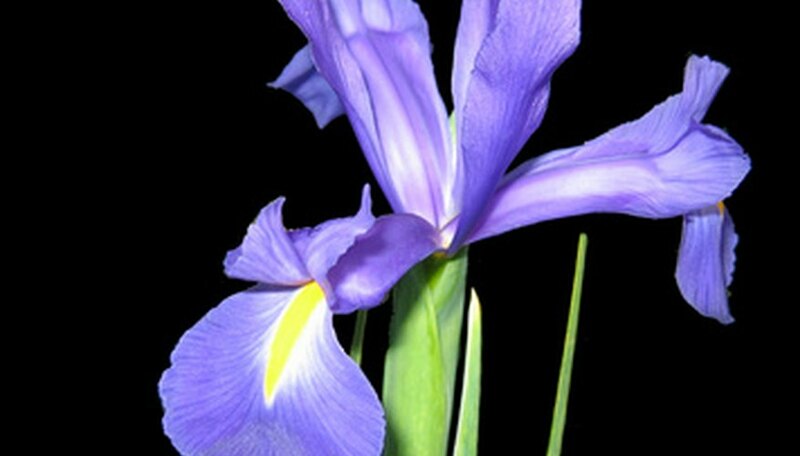 Irises are as beautiful as they are popular, but their blooms are relatively short-lived. However, the sword-like foliage remains green well into the fall, and will provide a fantastic backdrop for other flowers long after the blooms have disappeared. To prolong the season of interest, plant a number of complementary flowers with different bloom times around or under the iris’s foliage. The spring blooming iris ‘Louisiana’ likes to be close to water and will tolerate shade. 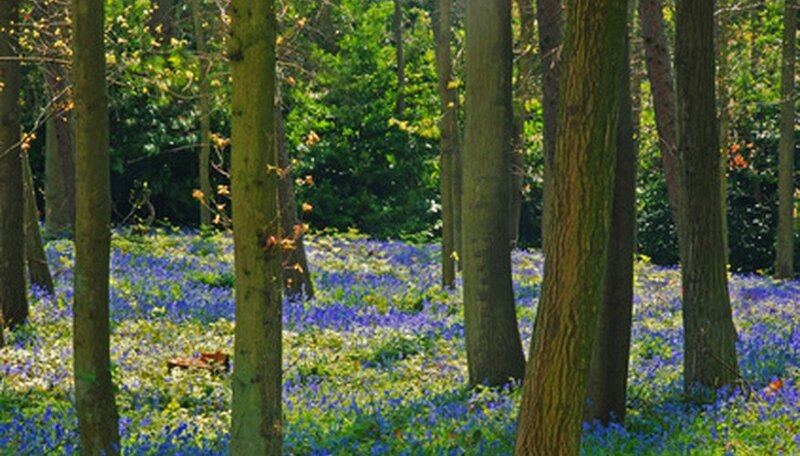 Pair it with bluebells (Mertensia virginica), which is also a spring bloomer. The silvery primrose, (Primula incana) is another spring-blooming native that prefers wet ground. Later, when irises have stopped blooming, the perennial native Cardinal flower (Lobelia cardinalis)–with its brilliant red blooms to brighten moist shady areas from summer through fall–will stand out against the green foliage. Monkey flower (Mimulus alatus), which blooms at the same time and thrives in the same conditions as cardinal flower, makes another good choice. Spotted jewelweed (Impatiens capensis), is an interesting orange trumpet-shaped flower that will shoot its seeds great distances when the seed capsule is touched–earning it another common name: “touch me not.” It may bloom as early as June–but usually blooms in August in most of the U.S.
Lenten roses or Hellebores (Helleborus spp. ), are dainty winter blooms to liven up shady areas even before irises are in bloom. As evergreens (except in very cold areas), their foliage adds textural interest when not in bloom. They go well with the spiky foliage of the shade-tolerant stool iris (Iris aphylla), or the cream and green variegated foliage of ‘Variegata’ (I. pallida). The lovely astilbes will provide floral interest (in colors ranging from white, through various pinks and reds to lavender-blues) from April through July. The woodland phlox or sweet William (Phlox divaricata ssp. laphamii) is a fragrant medium-height plant with clusters of pink, blue or lavender flowers over a wide bloom time–from March through July. Lady’s mantle (Alchemilla mollis) makes a low ground cover–as well as pretty sprays of yellow green flowers in early to mid summer. Violets (Viola spp.) 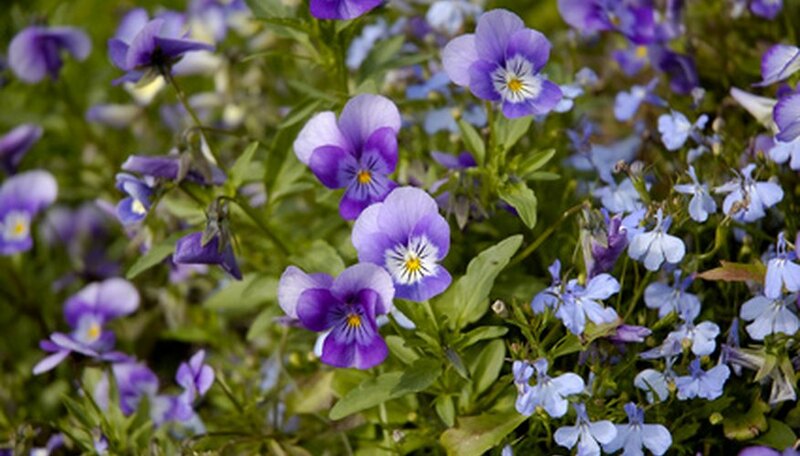 are a delicate shady ground cover whose heart-shaped leaves and purple flowers are also edible. The spotted dead nettle or henbit (Lamium maculatum) is another low grower that will quickly carpet both shady and sunny areas. (However, it can sometimes be invasive.) Bugloss (Brunnera macrophylla) is a very pretty ground cover that will tolerate full sun to full shade and everything between. 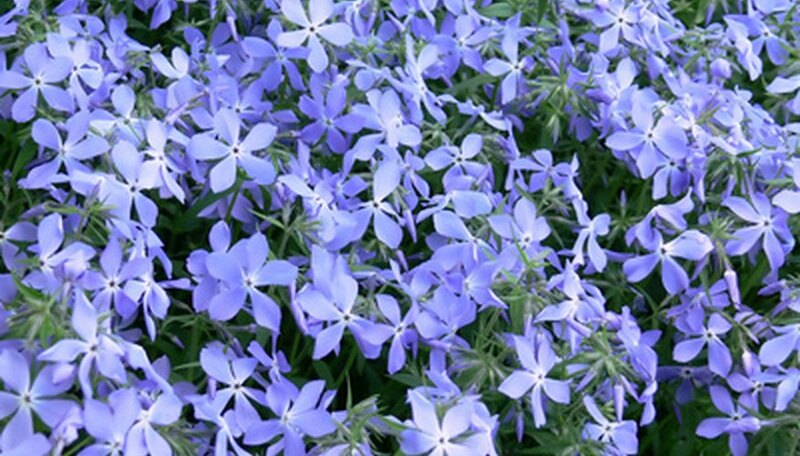 Its tiny bright blue blossoms are perched like forget-me-nots on slender stems above fuzzy, heart-shaped foliage. Any of these go well beneath irises.